Alternative Chiropractic CenterPractitionersDr. Elliott Smith, D.C. 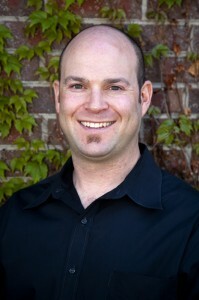 Founder and owner of the Alternative Chiropractic Center, Dr. Elliott Smith received his Bachelor of Science from Regents College in Albany, NY and his Doctorate of Chiropractic from Life University in Marietta, GA. Dr. Elliott opened his first chiropractic practice in Vail, Colorado in January 2001. Practicing within a ski resort enabled him to gain a vast amount of sport injury experience. Then Dr. Elliott moved to Denver gaining further experience by expanding his practice to include clinical nutrition. Dr. Elliott has a broad scope of training in diagnostic technologies, chiropractic, acupuncture, laser, orthotics and clinical nutrition to be able to treat the physical, mental, and chemical aspects of a patient’s health challenges. His main goal is to find the underlying cause of your problem and to tailor an individual treatment plan. Dr. Elliott is a skilled practitioner of Avatar, an advanced bio-energetic technology, which represents a new science able to generate greater diagnostic and treatment precision by eavesdropping in on the communication system of the body. While operating his successful practice, he has devoted considerable time to a postgraduate education through courses and seminars spanning a wide range of medical fields: from bio-energetic medicine to spinal trauma, to advanced EAV/EDS training, thyroid, adrenal, cholesterol studies, acupuncture certification, cold laser training, animal adjusting courses, neurotransmitter seminars and immune system studies to name a few. He strives to educate his patients thereby empowering them to take control of their health and well-being.